Thinning shear with a removal of 40-45% removes lines and produces a soft texture. 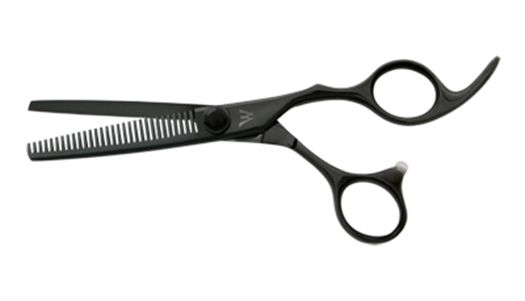 The Black Dragon 30-tooth thinning shear is for blending, removing lines and producing a soft texture. Removal is 40-45%. Wider offset handle for a relaxed postion for scissor over comb.